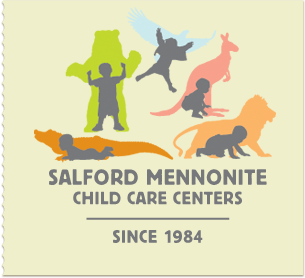 Salford Mennonite Child Care Centers » The Age of Fairy Tales » Imagine. Play. Learn. Since 1984. The object of teaching a child is to enable him to get along without a teacher. No, this is not a message about politics in the US; it’s about the value of using fairy tales in the preschool. In her article, “Fairy Tales Enhance Imagination and Creative Thinking” in the Beginnings Workshop unit, “Creative Dramatics,” Olga Sidlovskaya from Karelia State Pedagogical University in Russia, observes . . .
“Early childhood is the age of fairy tales. Language used in fairy tales is uncomplicated and doesn’t exceed a child’s comprehension capabilities. Any fairy tale is, by definition, simple yet mysterious. Hardly does one begin the narration with “Once upon a time…” that children calm down and are carried away into the world of their fantasies. Fairy tales support the development of imagination and creative thinking, one of the fundamental psychological formations of the presc hool childhood. The imagination of a child is the soil from which sprouts and grows to perfection a scientist, an inventor, an artist. “Fairy tales are one of the best means of developing this important psychological process of the early childhood — imagination. The style of a fairy tale is easy to understand for a child. Children cannot reason logically at this age, and fairy tales do not overburden them with logic. No child likes to be instructed directly, and fairy tales never teach children in this way. At most, fairy tales hint at what would be the best thing to do in this or that situation . . .
“When reading or reciting fairy tales to a child, we introduce her to the world of coded situations and problems, to the world of experience, enigmas, and mystery. Imagination development necessitates enriching sensory experience. The more a child hears, sees, and experiences, the more s he knows and acquires. This means that she possesses more elements of reality in her experience, and so her imagination is considerably more productive and much more active.